Landscape design is all about features. Well, at least good design is. If you get a water feature for example, but don’t want to take care of it, pretty soon you’re going to have a rather odd flowerbed. Inversely, if you get a desert plot of land, and would like a bit of water to break up all the brown, you’re doing yourself another disservice. You want to work with a professional company that helps you to find the best compromise. Blessed by warm weather nearly year round as well as a fairly relaxed lifestyle, Chandler, Arizona is an oasis in the desert. If you live in or near Chandler, you want your landscape design to take the climate into consideration. What do we mean? Well, from April until sometimes as late as October, Arizona gets HOT. Not just warm, not just balmy, HOT with capital letters. Elaborate landscape design requires elaborate care. Simple landscaping doesn’t. Sounds pretty straightforward, but the definition between simple and elaborate is also based on your abilities as well as time constraints. During the summer in Arizona, there are only two times you can comfortably work outside: very early morning and early evening. The rest of the time, the heat is a bit too much for most people to deal with. That’s where we can help you. If you have a vision for your landscape design, from an elaborate flower garden to a Japanese garden, we are professionals, and we even know how to work around the heat. 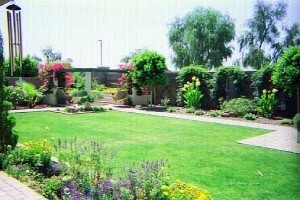 Green Servpro is a landscape design service in Chandler, AZ. Call us today, and let us take your vision from dream to beautiful reality. Getting lawn maintenance is important, and with summer coming up, its a good idea to look into hiring a service. This article explores the reason why you want to hire someone to take care of your lawn. Phoenix has a subtropical desert climate (Köppen: BWh), typical of the Sonoran Desert in which it lies. Phoenix has extremely hot summers and warm winters. The average summer high temperatures are some of the hottest of any major city in the United States, and approach those of cities such as Riyadh and Baghdad. The temperature reaches and exceeds 100°F (38°C), on average for 110 days of the year, including most days from late May through to early September. Highs top 110 °F (43 °C) an average of 18 days during the year. On June 26, 1990, the temperature reached an all-time recorded high of 122 °F (50 °C). To read more about Phoenix, please [CLICK HERE], otherwise, keep reading about lawn maintenance. Doing anything outside in Arizona during the summer is hot work, so hiring a service is your best bet. As a rule, any form of lawn care is handled in the early morning in Arizona. Even the pros know that. Hiring the right company is important. You want a company that has experience. While the neighbor kid may have a lawnmower, if you can’t trust him to show up when you need him to, it won’t do you a lot of good. You want to get a professional in, and the best one is a lawn maintenance company. It isn’t just homeowners that can benefit from lawn maintenance, sometimes business owners can benefit from lawn maintenance too. Make no mistake. Not every business will need lawn maintenance. if you have an office space that you are renting from a landlord, and you’re in a high rise, obviously, you don’t even have a lawn to take care of. But what about if you own a business park? You will definitely need lawn maintenance then. Why? Well, it is a matter of applied economics. If your business park or plaza appears unkempt, unintentional or no, it presents an image of being unprofessional. If your tenants think that the plaza is unprofessional when it is time for them to renew their lease, they will most likely gallop to another business plaza that does take care of their lawn. If an unkempt lawn says ‘unprofessional,’ what does a neatly trimmed lawn say? Think about it. When you go somewhere that is pleasant including something like a lawn that is cared for with proper lawn maintenance, your subconscious remembers, and you will want to go back there again. You think we’re making this up? It’s actually proven at least from a real estate perspective. The visual appearance of the exterior of a house is called ‘curb appeal.” The same principle that works for houses also holds true for businesses as well. People are more likely to do business with companies that give off an appearance of professionalism. One of the best ways to convey an image of professionalism is by how your business looks. And one of the best and least expensive ways of improving how your business looks is with proper lawn care and maintenance. Green Servpro is a Chandler based lawn maintenance company. Call us today and let us show you how we can help you and your business. Lawn Care: Seed or Sod? Lawn care is all about choices. Do you use a sun mix of grass seed, or a sun/shade mix? Should you use a ground covering? Should you skip the seed completely and just put down sod? When it comes to getting a thick, healthy lawn, nothing beats sod for instant gratification. Sure, it costs a bit more: about $400 to cover a 1,000-square-foot backyard (double that installed). But lay it right and in a couple of weeks you’ve got a dense, well-established lawn that’s naturally resistant to weeds, diseases, and pest infestations. Seed is another option to consider as part of a lawn maintenance regimen. There are several types of grass seed that grow well in Arizona. Each of these seed types work in different levels of light and have different watering requirements. Call in a lawn maintenance company to help you decided which type of seed you should use for your property. If you want to use seed, plant in mid-late spring, which in Arizona is Feb-Mar. Also make sure that you put down ground covering to keep birds from eating the grass seed. After all, you want a lawn, not a buffet. When in doubt, call in a lawn maintenance service to help you seed bare spots, or care for your lawn appropriately. Green Servpro is an Arizona based lawn maintenance company serving the greater Phoenix area. Lawn care in Arizona is often misunderstood. A good portion of Arizona’s population is from somewhere else, particularly colder climates. As a result of this, they are often bemused that their lawn which did so well in the Northeastern US does so terribly here. Arizona has an extreme environment, and as a result, grass seed from a cold wet climate will not thrive without a few extra steps that you will have to take. Lawn care is all about knowing how to adapt to Arizona. 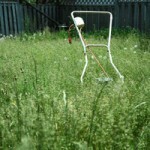 One common mistake that people make when they are trying to seed their lawn is planting the wrong sort of grass seed. From the 1950’s to the 1970’s in Arizona for example, Bermuda grass was seeded in a lot of developments as it does well in warm weather climates. When it is closely trimmed, Bermuda grass is almost indistinguishable from other types of grass, like fescue, rye, or bluegrass. However, using Bermuda grass for a lawn has its own challenges, as any lawn care service can tell you. As any lawn care expert knows, Bermuda grass sends out runners that if unchecked can strangle out other plants in your garden or landscaping. If you cut the grass and these runners are entwined in any other plants, the runners will die off, leaving a dried brown matted mess of grass that takes a lot of effort to remove. Good lawn care is all about the choices you make. Should you plant seed, or lay down sod instead? Both have their pluses and minuses. Grass seed requires that you place ground covering over the top of it. Otherwise, birds will eat up your grass seed before it has a chance to germinate. If you lay down sod, you must make sure you find the balance between too little water or too much. You need enough water for the sod to root, but not so much that it kills the grass. Both sod and seed require that you have a bit of patience. Sod takes 2-3 weeks to root properly, and until it does, you have a bunch of squares and rectangles on your lawn. Seed requires about a month to germinate. So which is better? Seed or sod? Depends on what you want to do with your lawn. When in doubt call in a lawn care service. They will be able to tell you what will work best. Green Servpro is a Phoenix lawn care company. 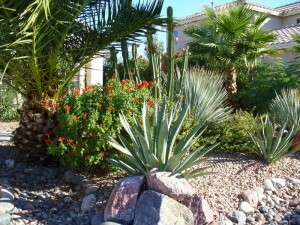 If you live in Arizona, landscape design can be a challenge. Try to use native plants whenever possible. If it grows here, it will likely do well in your yard. Your neighbors will thank you. Your city will thank you, and your landscape design company will also thank you. If you don’t believe that planting the wrong plant can be disastrous, look at the kudzu. It grows a foot a day and has pretty much eaten the South. 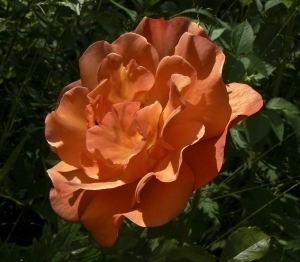 Don’t plant a rosebush, which needs a lot of water in an area designed for desert plants, and don’t put a cactus in a rose garden, plant complementary plants together, when planning your landscape design. Green ServPro offers landscape design, lawn care, and sprinkler repair among many other services. Call us today and let us show you what we can do for you, or arrange a consultation. The Japanese rock garden (枯山水 karesansui?) or “dry landscape” garden, often called a zen garden, creates a miniature stylized landscape through carefully composed arrangements of rocks, water features, moss, pruned trees and bushes, and uses gravel or sand that is raked to represent ripples in water. A zen garden is usually relatively small, surrounded by a wall, and is usually meant to be seen while seated from a single viewpoint outside the garden, such as the porch of the hojo, the residence of the chief monk of the temple or monastery. Classical zen gardens were created at temples of Zen Buddhism in Kyoto, Japan during the Muromachi Period. They were intended to imitate the intimate essence of nature, not its actual appearance, and to serve an aid to meditation about the true meaning of life. 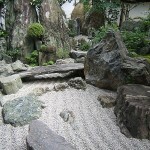 Rock gardens existed in Japan at least since the Heian Period (784-1185). These early gardens were described in the first manual of Japanese gardens, Sakuteiki, or Records of Garden Keeping, written at the end of the 11th century by Tachibana no Toshitsuna (1028–1094). They were largely copied from the Chinese gardens of the Song Dynasty (960-1279), where groups of rocks symbolized Mount Penglai, the legendary mountain-island home of the Eight Immortals in Chinese mythology, known in Japanese as Horai. Rock gardens are only one method of landscape design. Part 1 of our series explored desert landscaping and Part 2 explored tropical plants. Whether you want to go for the desert, or turn your home into a paradise, the right landscape design company can help you. Green ServPro is a landscape design company based in Chandler, AZ. Lawn maintenance is more than just seeding and fertilizing, there is also watering. Part three of a three part article series explores how much water you’re going to need and how often you’re going to need. Part one of this series explored seeding your lawn, and part two explored fertilizing. Decide before summer to either water lawns consistently as needed throughout the season, or let lawns go dormant as conditions turn warm and dry. Do not rotate back and forth. In other words, don’t let the grass turn totally brown, apply enough water to green it up, and then let the grass go dormant again, as breaking dormancy actually drains large amounts of food reserves from the plant. To read the source article, please click here. With good lawn maintenance, you want a balance between over watering and not watering enough. The amount of water that each type of grass needs varies significantly between species. Warm weather and drought tolerant grass doesn’t need as much water as water from a cooler and moister climate. Make sure that your watering method is in good working order. Check your hose for kinks or breaks, and if you have a built in sprinkler system, make sure that you don’t need a sprinkler repair job done. Lawns are fairly easy to take care of. It is about putting down the right type of seed, and fertilizing the grass properly, and making sure that you put down the right amount of water. With all of these skills down, you will find that lawn maintenance isn’t as hard as you may think. In part 1 of this 3 part series, we covered one type of landscape design: desert landscaping. Part two of this series will cover tropical and sub-tropical landscaping. Small side yards are sometimes hard to landscape because of the small space and odd shape. Air circulation is problematic as well. A solution for a small side yard is to decorate the area with a tropical theme. 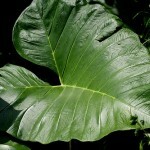 Tropical plants will withstand the heat and add dimension and color to an otherwise drab area. The basic design for tropical landscapes is pathways and seating. Make pathways in the middle of the area with white gravel or large concrete stepping stones in a bed of white gravel. Set the stepping-stones in a random pattern to mimic the look of meandering through a villa. Square off planting areas with landscape timbers and hidden seating. As for landscape design with a tropical motif in mind, do a bit of research. Find out what can grow in your area with little to no effort. Take into account your water bill as well. The wrong sort of plants could cause your water bill to skyrocket. Some tips regarding landscaping with tropical plants. You want to create an illusion of a jungle paradise, which means densely planting the area you want to use tropical landscape design in. You also want the dense green to be interspersed with plants of wild color. Look at the vibrant red of a hibiscus plant for example. Make sure there are plenty of touches like a bit of tropical or Asian statuary, or maybe a nice water feature as well. Make sure you consult with a professional for other landscape ideas as well. Above all else, make sure you get an expert at landscape design. Green Servpro is a landscape design company based in the Southwest US. eight micronutrients: boron (B), chlorine (Cl), copper (Cu), iron (Fe), manganese (Mn), molybdenum (Mo), zinc (Zn) and nickel (Ni) (1987). The macronutrients are consumed in larger quantities and are present in plant tissue in quantities from 0.15% to 6.0% on a dry matter (0% moisture) basis (DM). Micronutrients are consumed in smaller quantities and are present in plant tissue on the order of parts per million (ppm), ranging from 0.15 to 400 ppm DM, or less than 0.04% DM. Only three other macronutrients are required by all plants: carbon, hydrogen, and oxygen. These nutrients are supplied by water and carbon dioxide. To read more of this Wikipedia, please visit the source material here. Fertilizer, as a part of a lawn maintenance schedule, doesn’t just help your lawn to grow, it also helps it to thrive as well. But which should you choose and why? Organic fertilizer is usually a combination of animal or plant material that is rendered for the nutrients. It is slightly better for the environment than chemical fertilizer, Chemical fertilizer is usually nitrogen based, and while it can help plants to grow, it can also cause problems such as algal blooms in the ocean which can be lethal to various forms of life. Living in Arizona, runoff from fertilizer isn’t as much of a problem as it is in coastal areas, or river mouths, however it is a good idea to consider what type of fertilizer to apply when you are doing your lawn maintenance. You also want to make sure to apply the fertilizer at the proper times each year. You want to fertilize pretty much every season except winter, though in Arizona, winters are notoriously mild. You pretty much want to fertilize your lawn in varying degrees from spring until fall. When in doubt, make sure you do a bit of additional research or call in a company that specializes in lawn maintenance. Green ServPro is a lawn maintenance company based in Chandler, Arizona. Landscape design is something that can be tailored to particular areas and climates, like the desert Southwest. This article from About.COM lists some plants that do very well in Arizona. These desert plants are great choices for people who don’t want to spend lots of time working in the yard, but want a nice, colorful look in their desert garden.Keep in mind that all of these plants will thrive in the Phoenix area, but not in other parts of Arizona, where we have everything from low desert to high desert and even sub-alpine conditions. Arizona is a diverse environment for landscape design. The plants that grow here reflect this bio-diversity. A bougainvillea would do well down here, but not as well in the White Mountains or the northern end of the state. 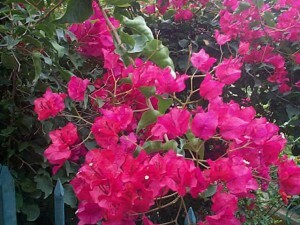 Another thing to consider is placement with a bougainvillea. They do well where they can get a lot of sunshine. They are also very drought tolerant, but will grow quickly when watered. 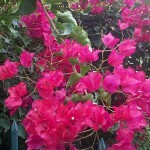 While there are several varieties of bougainvillea , the variety with the magenta colored leaves does the best as it is incredibly hardy. In addition to their hardiness, they are also surprisingly versatile. You can let them grow into a bush, let them be vines, or even be ground cover to keep weeds out. Be warned however, that if you let them grow wild, you will need to trim them. Landscaping design operates under various principles, and one of them is how adaptable a plant is to a desert environment. A professional company would be capable of guiding you on plant selection, placement and many other tips to improve your home’s yard. Green ServPro is a landscape design company based in Arizona. Sprinkler repair is a good strategy to follow from winter to spring. During winter your plants need less water, and go dormant. You can check out your sprinklers to see if there is any damage to the heads or pipes simply by turning them on. Sprinklers that need sprinkler repair are fairly obvious. You either have a pool of water that starts to well up at the surface when you turn on the sprinkler, or even worse, the dreaded lawn fountain. When we refer to a lawn fountain, we’re not referring to something made of terra cotta, or resin. We’re talking about a gusher of water that springs up, usually someplace that you do not want water to be as a rule. Any sprinkler system uses some form of pressurized water to spray from retractable nozzles. When they work right, these nozzles deliver a fine spray of water that nourishes both the roots and the leaf structures above ground. An irrigation system in need of sprinkler repair, however, either dribbles, or fountains up, completely out of control. Sometimes it can even flood into the street, and if you live anywhere with a homeowner’s association, then you end up on their bad side too. Sprinkler systems are usually a combination of metal and plastic pipes and nozzles. Like any link in a chained system, when one thing goes, it can impact the entire system. Sprinklers are not too complex as a rule. Even ones set on a timer or that are fairly high-tech operate under the same principles as the simplest ones. However, whether they are complicated or simple, a sprinkler like all devices will sooner need sprinkler repair. Christy Snyder is an expert on sprinklers and is the owner and operator of Green ServPro, a chandler-based landscape service company. Lawn maintenance is made up of three procedures that interconnect: seeding, fertilizing, and watering. In this three part article series, we will explore seeding. Early autumn, spring, and early summer are the primary seasons to seed, lay sod, plant ‘liners’, or ‘sprig’ new lawns, when the soil is warmer and air cooler. Seeding is the least expensive, but takes longer for the lawn to establish; deeper rooting, though, can make for a more durable lawn. Aerating just before planting/seeding will promote deeper root growth and will help thicken turf. To read more of this article, please visit the source article at http://en.wikipedia.org/wiki/Lawn. Seeding is just the first step of lawn maintenance. 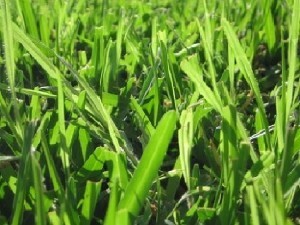 The first thing to do when selecting grass seed for lawn maintenance is to pick the seed that works well in Arizona. Grass is broken down into two main categories: warm season and cool season. Cool season grasses do better in cooler climates, but they need a lot of water, or they’ll brown over in the summer. Warm season grasses are heat tolerant, however they brown over and go dormant in cooler temperatures. 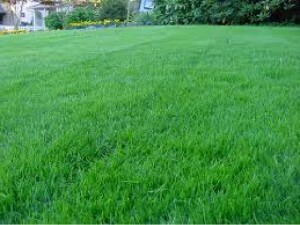 There are six types of grass seed used for lawns: Kentucky bluegrass, fescue, buffalo grass, perennial rye, Bermuda, and Zoysia. Kentucky bluegrass does well in cooler seasons like Autumn and early spring, and is widely used in North America. It’s used for homes as well as parks and playing fields. Fescue is a category of grass seed, and there are usually three types: fine, tall, and turf type. Native to North America, buffalo grass matures well and makes a lawn that is both uniform and has very impressive tolerances for heat, drought, and cold. Used in the Southwestern United States for overseeding during cooler winter months, perennial rye grass makes a durable lawn that lasts well. Bermuda grass requires low water and is an excellent choice for Southern US states because they it hasa high tolerance for traffic. Zoysia grass is fine textured and forms a thick mat after it establishes itself, however, because of its slow growth rates, it can take up to three years for a zoysia lawn to be fully established. 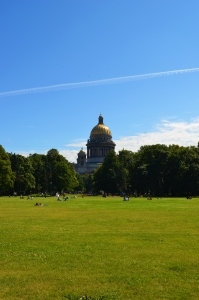 A lawn maintenance company would be able to determine which type of grass seed to plant. Landscape design mixes several elements. One of the most admired forms of landscape design is the classic Japanese garden. The Japanese Friendship Garden is designed to present an atmosphere of elegant simplicity (shibui) and quiet beauty. Representing a new concept in the development of a Japanese garden outside of Japan, the design is guided by the original principles of the Japanese garden while incorporating elements of the regional landscape and climate. A garden is always in a state of change but the basic elements of trees, shrubs, rocks and water designed in natural balance create a peaceful, harmonious, and transcendental environment conducive to contemplation and meditation. The Plaza welcomes visitors with its inviting space. It is open to the westerly winds and, symbolically, to Yokohama, San Diego’s sister city. To the right of the Entry Gate, the Entrance Stone is inscribed with the kanji symbols of the Garden’s name, San-Kei-En. The Stone was a gift to the Garden from the San Diego-Yokohama Sister City Society. To read more about the landscape design elements used in the Japanese Friendship Garden, and to see images of the garden, visit their site. Some elements of landscape design are timeless and appropriate for a lot of environments. The simplicity of a Zen garden can work in the serene beauty of Kyoto and the sere desert of Arizona. Some elements however, won’t work in Arizona, particularly plants that require a more temperate or colder climate. When in doubt, contact a professional landscape design company. So, be honest here. It is time for lawn maintenance? Green ServPro is a lawn maintenance company serving East Valley Cities like Gilbert, Tempe, Mesa, and Chandler.